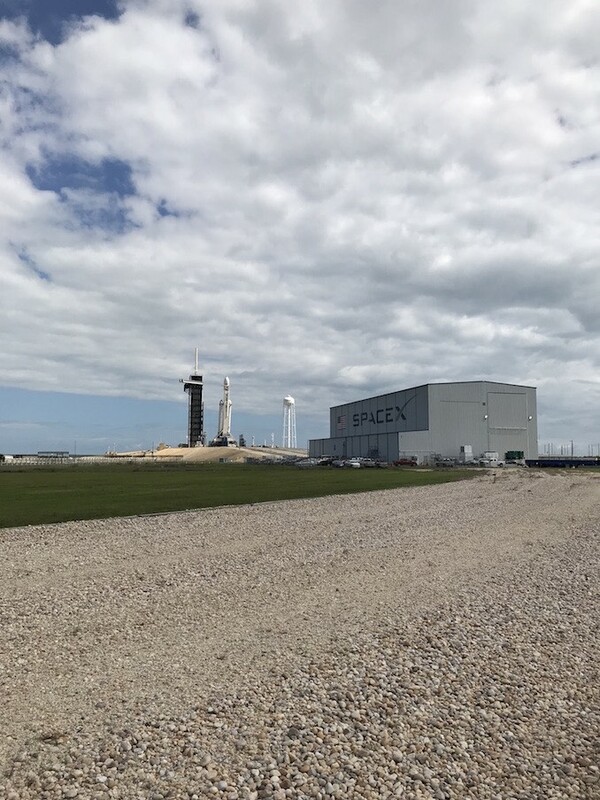 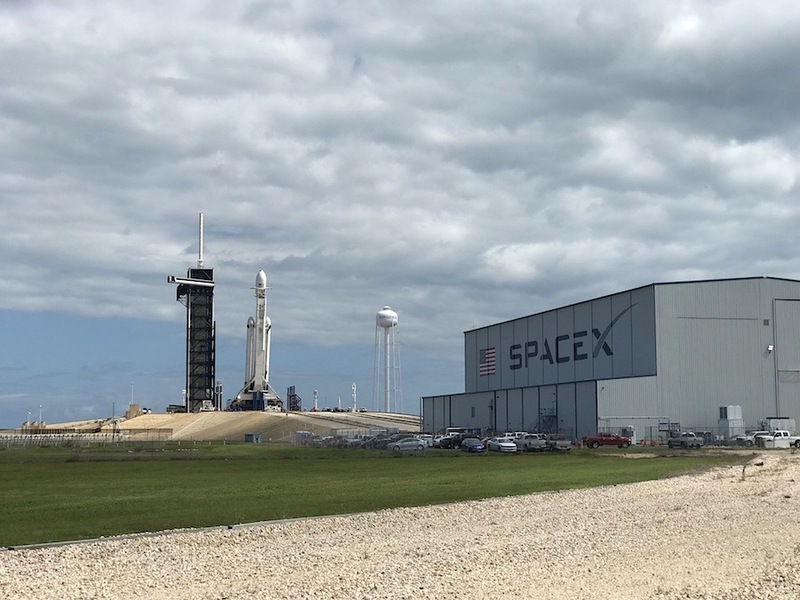 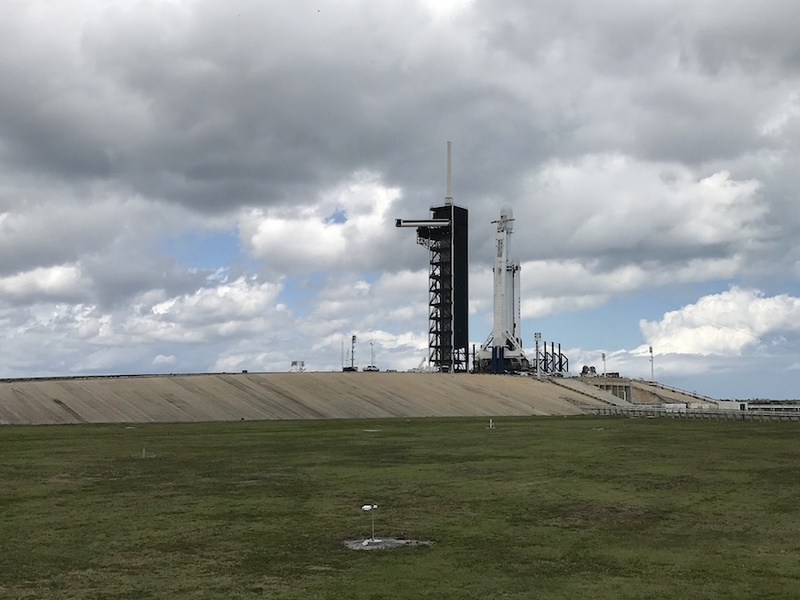 The 229-foot-tall (70-meter) rocket rolled out of SpaceX’s hangar at pad 39A, the site at NASA’s Kennedy Space Center where all of the Apollo moon landing missions took off, before sunrise Wednesday. 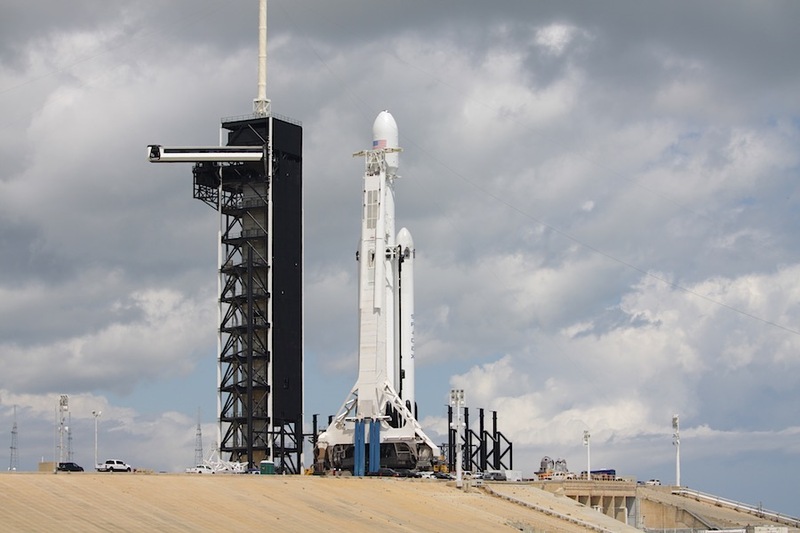 Shortly after 11 a.m. EDT (1500 GMT), the erector raised the rocket vertical in preparation for final countdown preparations. 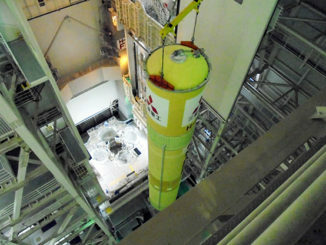 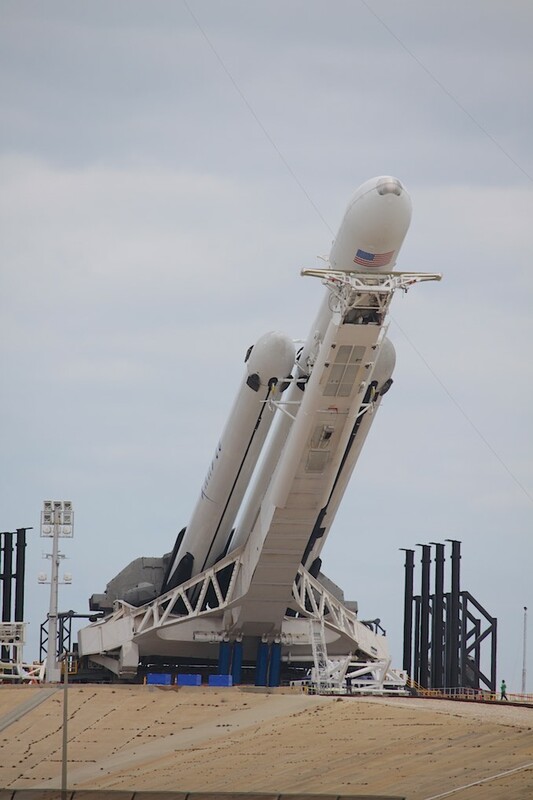 Wednesday’s launch window opens at 6:35 p.m. EDT (2235 GMT) and extends until 8:32 p.m. EDT (0032 GMT). 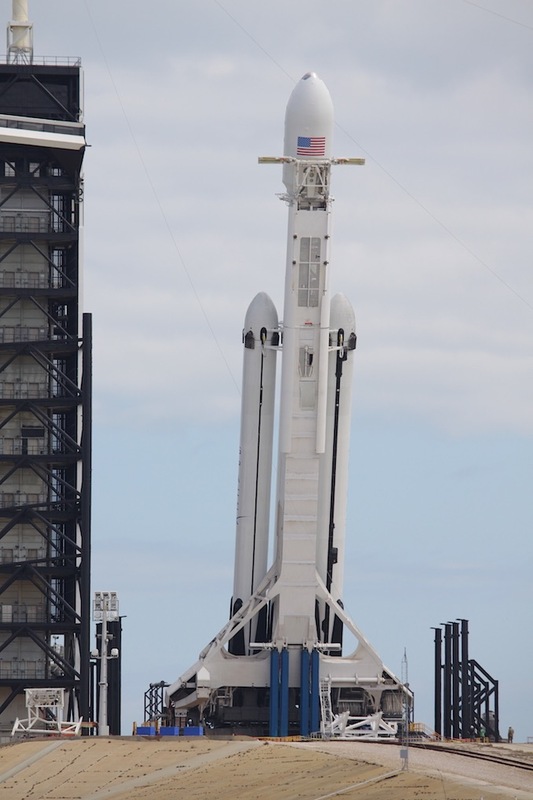 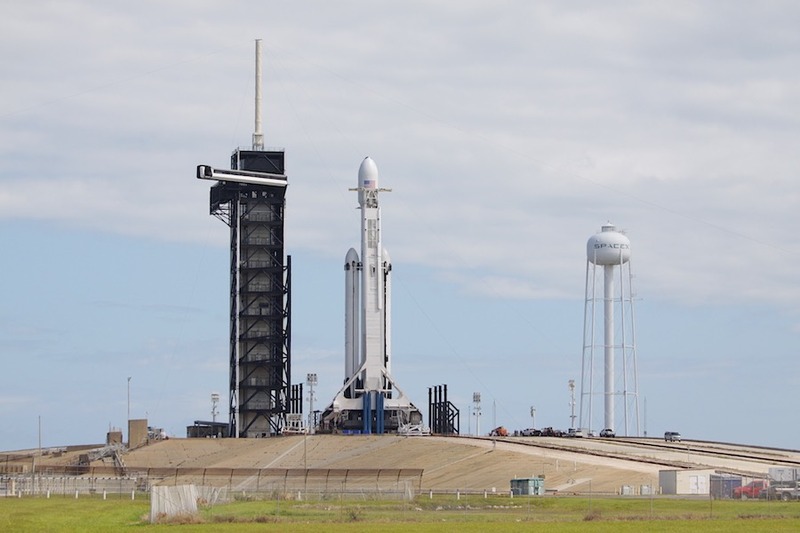 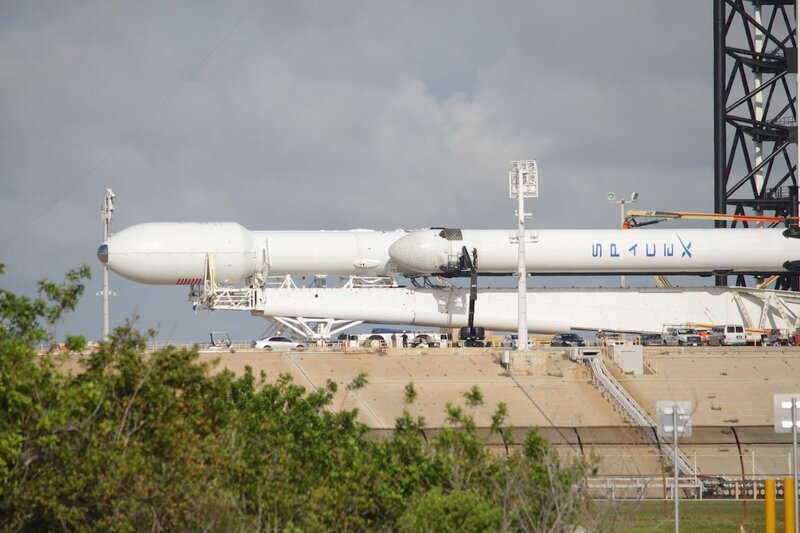 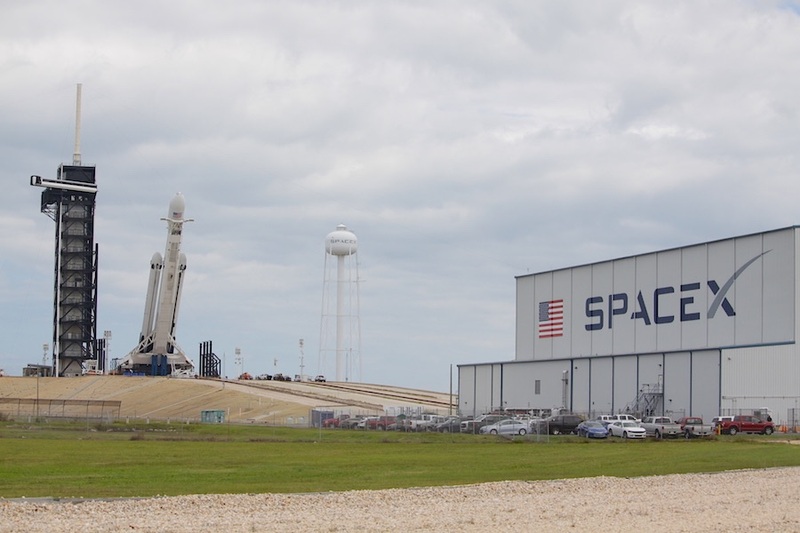 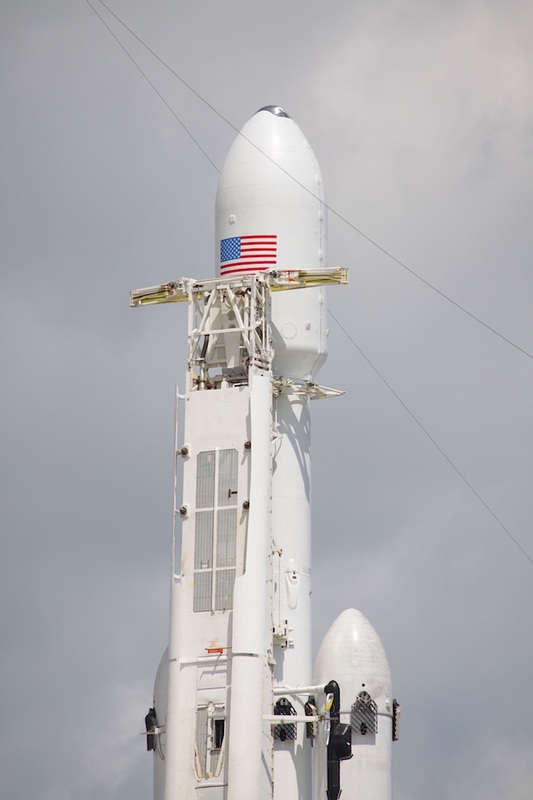 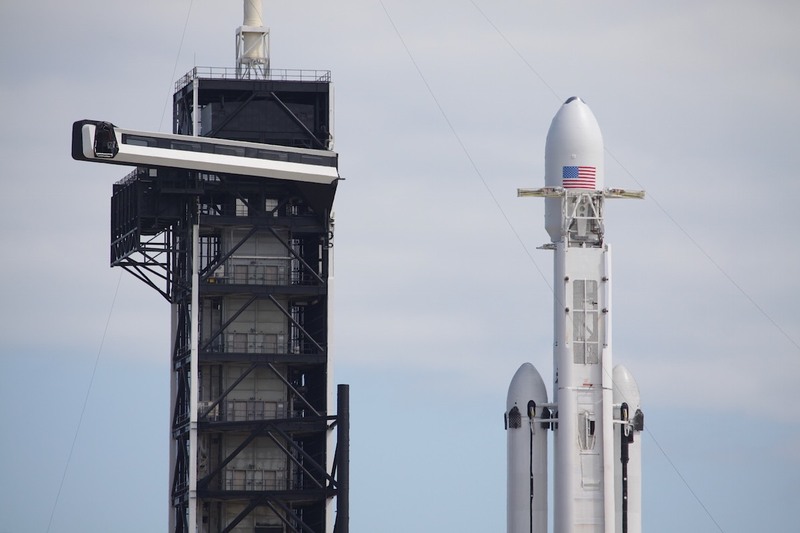 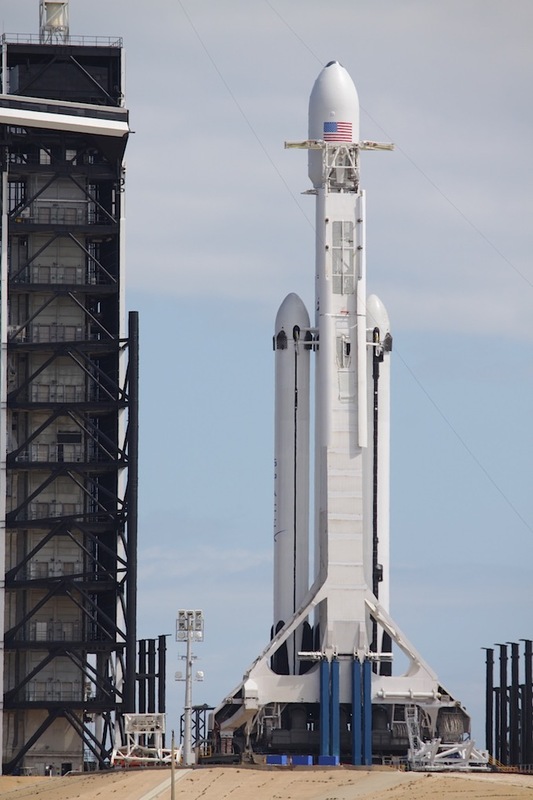 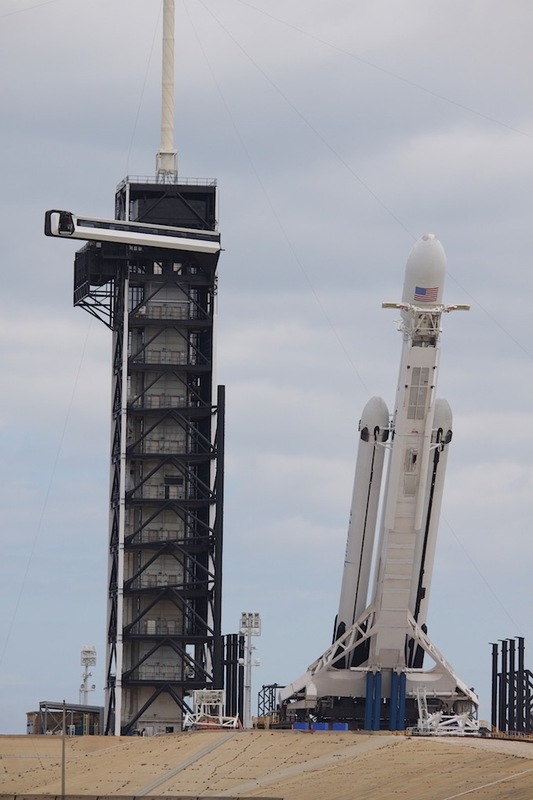 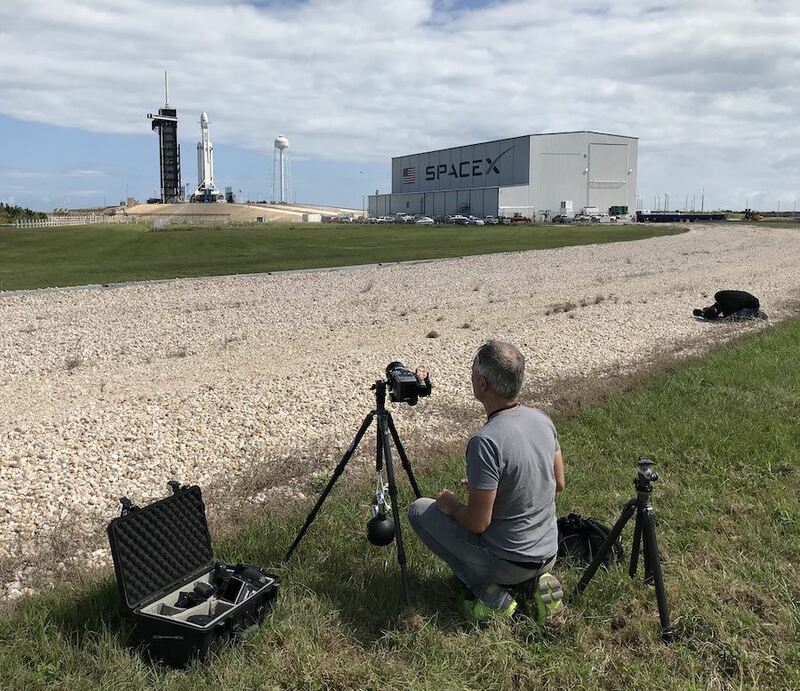 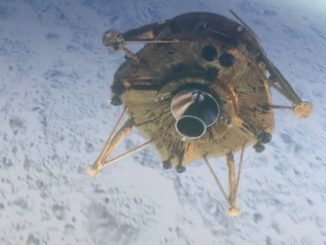 The Falcon Heavy’s 27 Merlin main engines will generate more than 5 million pounds of thrust at full throttle to carry the school bus-size Arabsat 6A communications satellite into orbit. 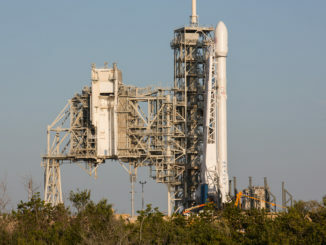 See our Mission Status Center for updates on the countdown and launch.